Mark joined the Cornwall Innovation Centres as Business Development Manager in the spring of 2017. Originally from North London, Mark moved to Cornwall with his family in 2012 following stints in Eastern Europe and Guildford. With a background in the travel industry, he brings extensive National and Multi-National Sales and Account Management experience having worked on the sales teams of major international airlines – Mark’s former customers include American Express, McDonald’s, Ernst and Young and Johnson and Johnson. 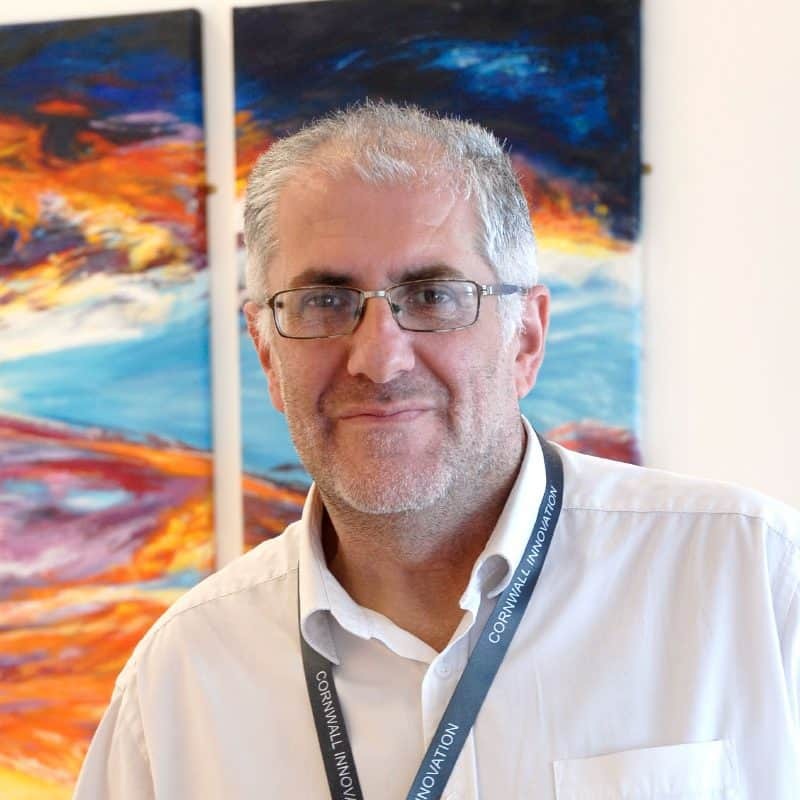 Mark is responsible for bringing new clients into the centres, maintaining a strong product offering to ensure we remain focussed on business incubation and overseeing the meetings/events part of the business. A plane fanatic who is ‘at his happiest with a Jack Daniel’s at 38,000 feet’, Mark loves the various excellent real ales that Cornwall produces, is partial to wine (primarily New World), other whiskies and can usually be found at the side of a rugby pitch with his sons at weekends. He realises he needs to make better use of his Golf Club membership.